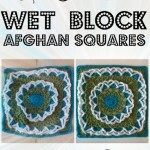 The Fates Square is a fun 6″ afghan square – you can mix and match it with other squares, make a blanket with as many Fates Squares as you like, use it to make a tote – whatever strikes your fancy! 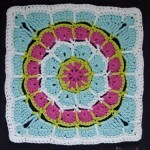 I’ll be using mine in combo with the Zodiac Appliques and Solid Granny Squares to make a Celestial Baby Blanket! I’ll share more about that later. 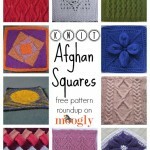 In the meantime, here’s the free Fates Square crochet pattern! 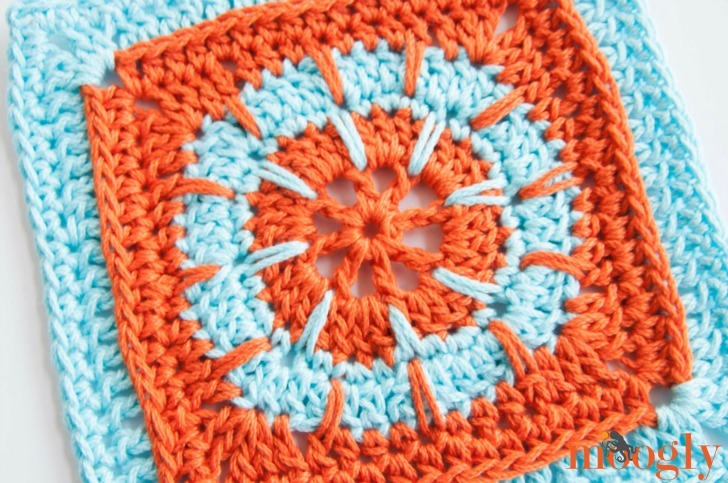 Special Stitch: Spike Stitch – Made as a normal sc or dc, except the hook is inserted below the stitch indicated, one row down, and a long loop is drawn back up to height of the current round to complete the stitch. See the video tutorial linked above for more help. And that’s that – what you do next is up to fate… or you! The last few rounds of the Fates Square are easily adjustable if you are having trouble getting to 6″ – use shorter sts for Round 7, or drop Round 8 all together if your square is too big, or make Round 8 in dc, or add another round if your square is too small! 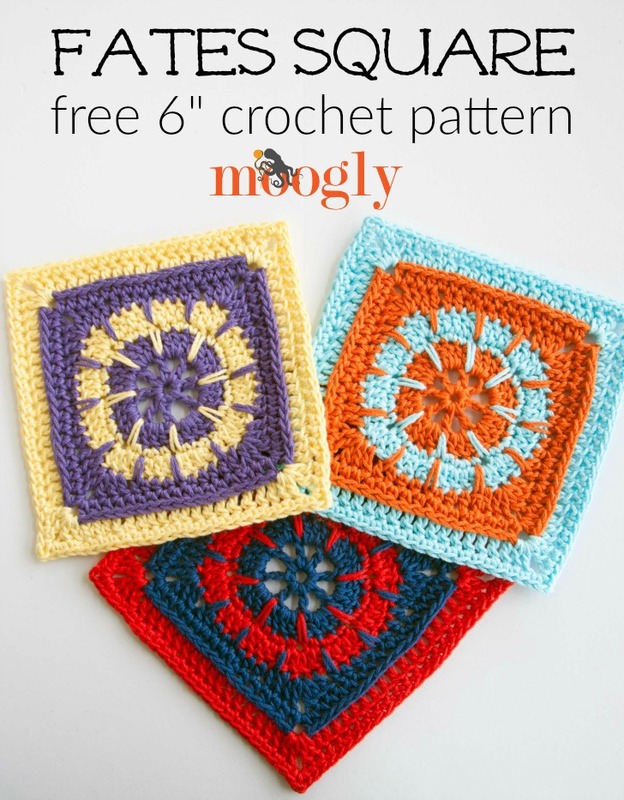 I hope you enjoy this free 6 inch crochet square pattern! I like this pattern because it reminds me of the sarlacc pit. I absolutely LOVE these! Thank you so much, Tamara!